mkv2m2ts Pro was built for converting Matroska (.mkv) files back into their original .m2ts files. Some devices, such as the Playstation 3, do not natively support the .mkv format. 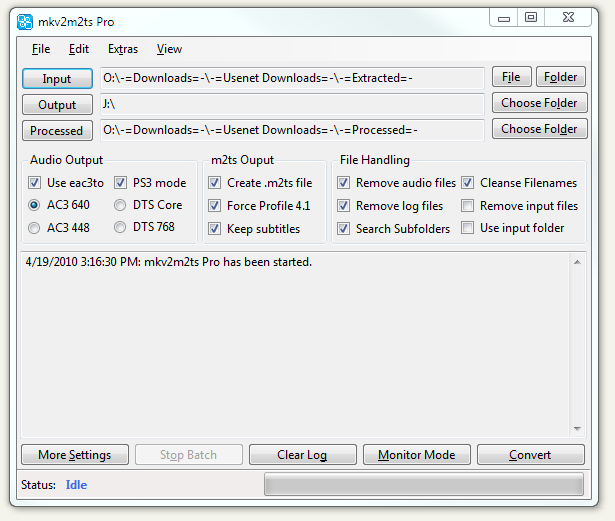 mkv2m2ts Pro was built with Playstation 3 playback in mind (although the program is just as useful for any .mkv to .m2ts conversion needs).